A recent article from the Times Argus highlights findings from FPF survey work done in 2017. 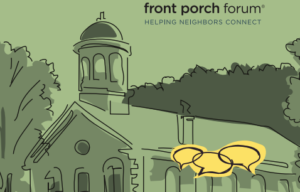 “Members of Front Porch Forum, who are not anonymous and make a commitment to be part of the online community, are comforted by the engagement of others. Perhaps at a time when contention is rampant, the sense of community, even online, is enough of a connection for members to feel a level of comfort and trust.